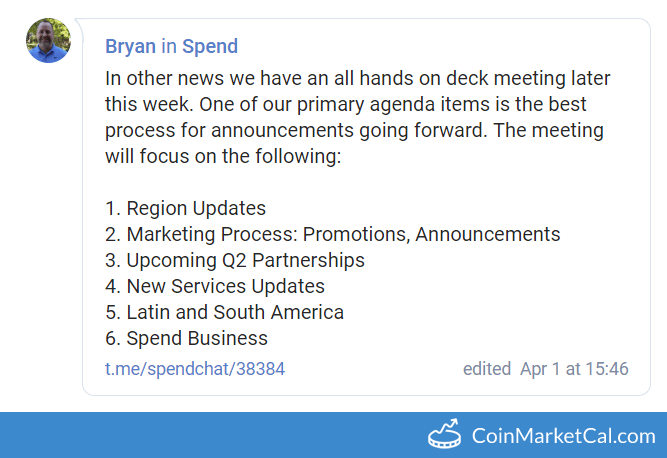 "Our calendar is full of surprises and announcements that will start on the day of V3." 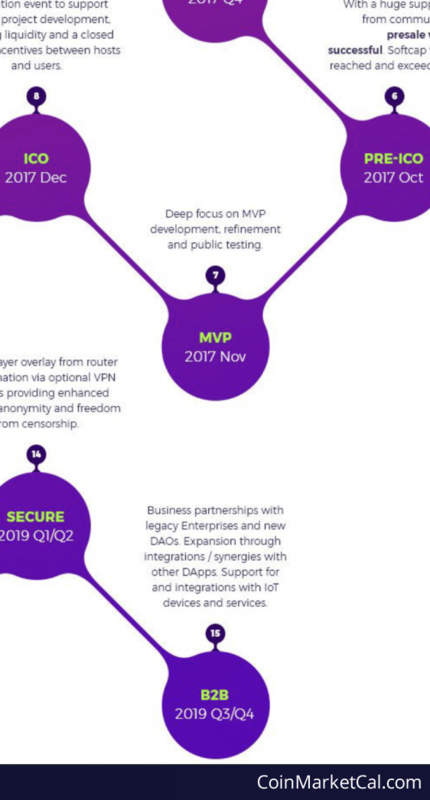 "Upcoming Q2 Partnerships," in Q2 2019. "Onboards first 50 business partners for e-commerce applications," in June 2019. 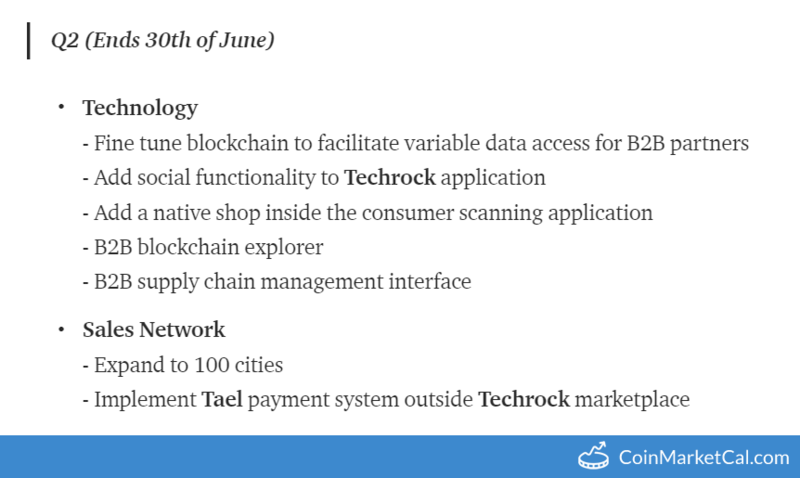 Implement Tael payment system outside Techrock marketplace in Q2 2019. 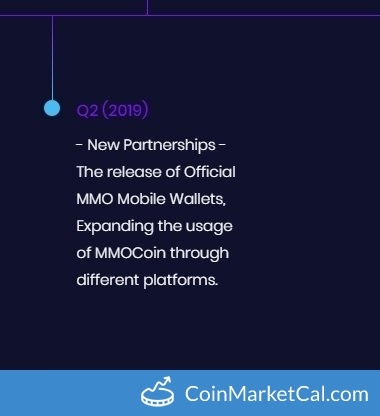 "Telcoin Foundation project initiation with major aid/non-profit organization partner," during Q2 2019. 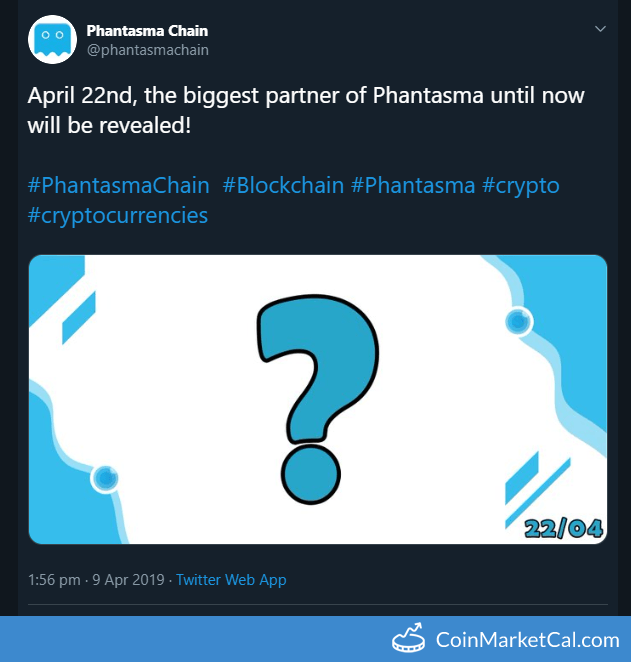 New partnerships in Q2 2019. 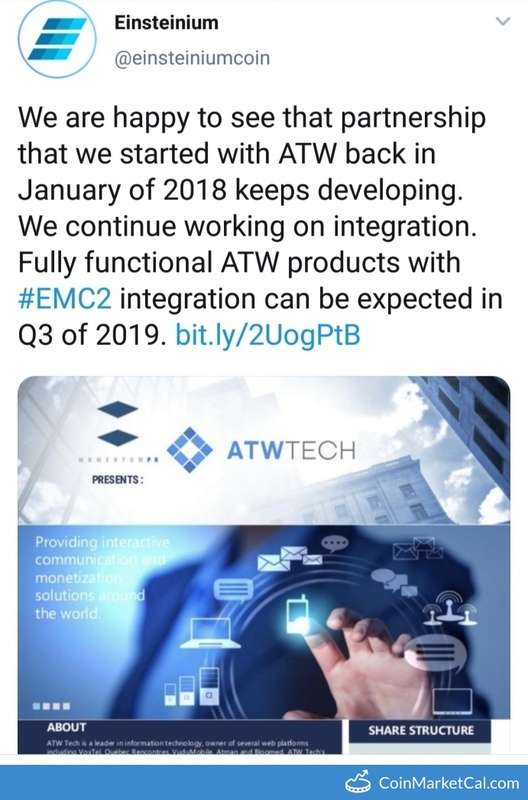 "Fully functional ATW products with #EMC2 integration can be expected in Q3 of 2019." 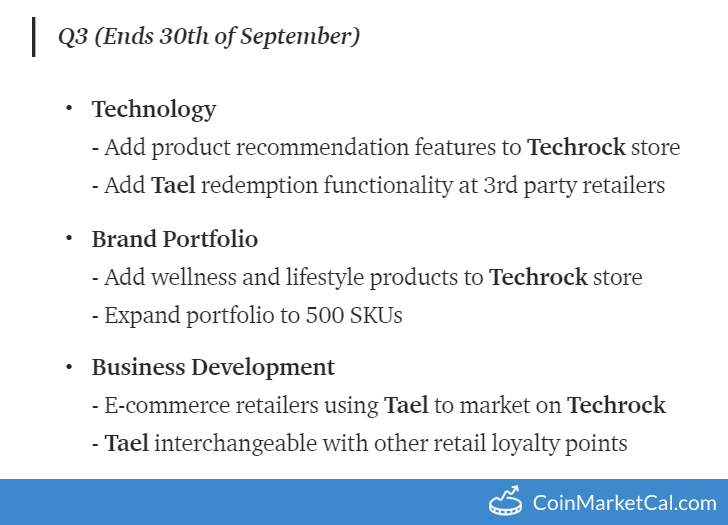 Add Tael redemption functionality at 3rd party retailers in Q3 2019. Add wellness and lifestyle products to Techrock store in Q3 2019.